Do you spend time searching for case law? Thanks to one of the academic authors, I have just been made aware of a really useful 179-page report published earlier this year entitled On-line Publication of Court Decisions in the EU: Report of the Policy Group of the Project ‘Building on the European Case Law Identifier’. 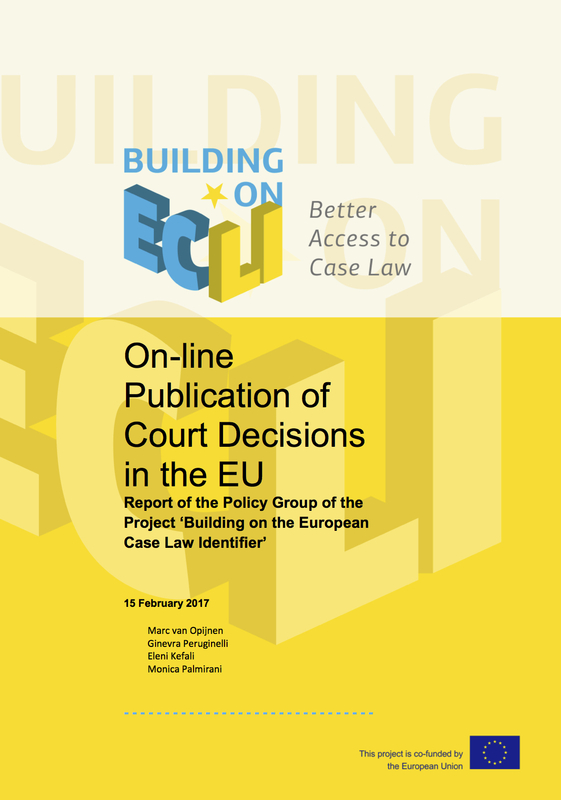 The report contains extensive comparative research on the online publication of court decisions in Europe. It focuses on three main themes – policy and practices with regard to online publication, data protection and Open Data – and two accessory topics: citation practice and the implementation of the European Case Law Identifier (ECLI). After an introductory section, the five themes (publication, data protection, Open Data, legal citation and ECLI) are discussed in separate sections. Even more importantly, there are also reports for all 28 EU Member States and for three European courts: the Court of Justice of the European Union, the European Court of Human Rights and the Boards of Appeal of the European Patent Organization. Each country report includes a summary of the national court structure, the legal framework on publication, and details on public access to court decisions with direct links to court websites. You can find out more about the ECLI project here. Pingback: (EN) (PDF) – On-line Publication of Court Decisions in the EU | BO-ECLI – 📚 Glossarissimo!